Gardeners often repurpose vintage items like ladders, tables, chairs, and rusted parts. Scattered around the garden, these pieces provide a casual charm. A cottage garden can incorporate quirky or funny ideas, like painted signs, that would not go with a more formal garden concept. The cottage garden projects a sense of relaxation, often including shady corners where a gardener can take a break. Dining areas and seating are often included in the cottage garden. Your friends and family will enjoy the pretty, old-fashioned look of your garden. Combining generous flowers with traditional designs, your cottage style garden can be the oasis of your dreams. 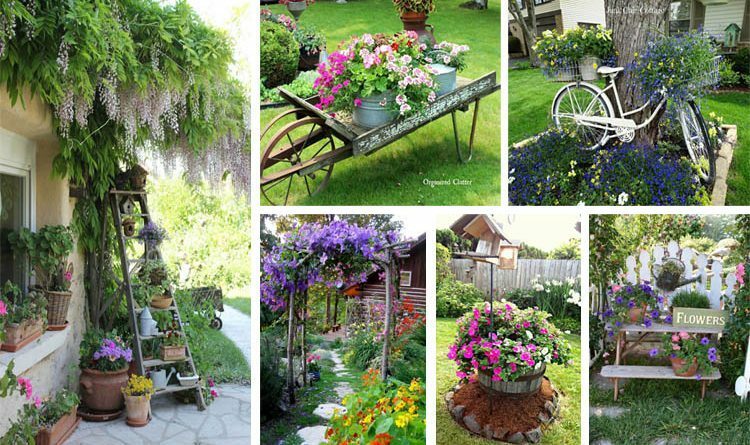 Use these creative garden ideas to customize your own garden and create the charming, relaxed look you have always wanted.